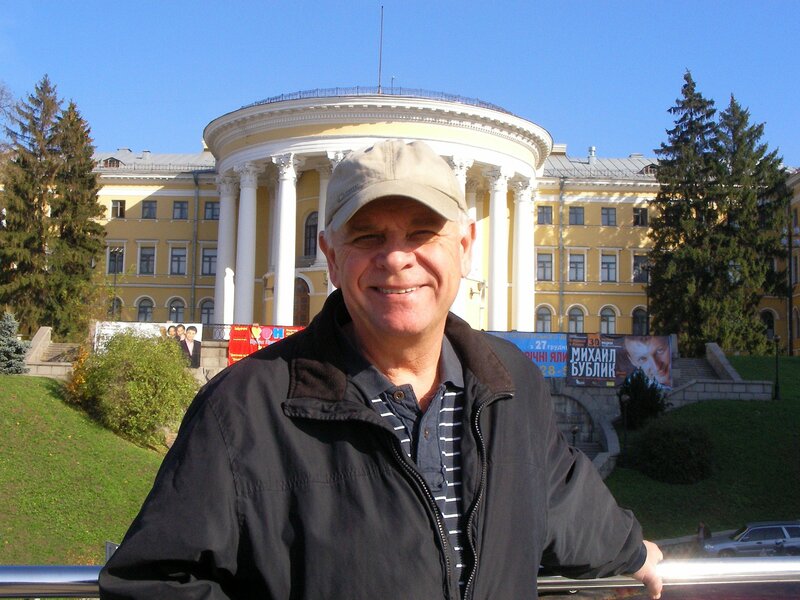 It was December 2006, just returned to America from Saint Petersburg Russia after a ten day stay. My time there was exciting and nerve racking all at the same time. Meeting an English teacher in Russia was definitely a first for me. Teaching three kid’s English in that big city, was an experience I will never forget. Over those ten days, I had the pleasure of meeting six ladies. Although, they were all interesting, there was no chemistry. A psychologist, a dentist, a skating instructor, a housewife, a baby doctor and an English teacher. Interesting for sure, just no chemistry. My journey back home was uneventful. Just a long trip. A lot to think about for sure. I had no idea that I would make Nikolaev Ukraine my home someday. Jet lag and the time difference was a real challenge but, after a good nights sleep and self reflection, I continued my search. I knew there was someone searching for me. You know… Two ships passing in the night? I knew that if I stopped searching, it would be impossible for her to find me. I knew she was out there somewhere. My angel was waiting for me. Sounds crazy, right? You wouldn’t think that way if you knew Larisa… She was in fact, waiting for me to offer up the first hello. She didn’t know it was me she was searching for and … well… I had no idea who or where my angel was either. I just knew that I couldn’t give up. Can you imagine she was waiting for me in Nikolaev Ukraine all this time. Without continuing my search, we would have never found each other. Before my journey to Russia, I had devised a way to help weed out the good from the not so good. That took me nearly a year. A year of daily communication with ladies all over the Internet. My journey started in early 2006. No, it didn’t start with a Russian dating web site. Quite the opposite was true. It started with the idea of searching for a real woman that would understand me, love me through thick and thin until death do us part… Isn’t that how it is supposed to be? Of course, I would do the same for her. Oh, and don’t forget to toss in that communication thing with a little compromise as well. That takes me back to how all this started. You know… How I ended up living in Nikolaev Ukraine with my angel; The most beautiful woman in the world. It all started soon after New Years 2006. Wanting to start the new year out right, my new years resolution was to lose a little weight, get fit, meet an angel, fall in love and… well you know the rest… I did what most do these days, I signed up on a few dating web sites. E-Harmony, True.com and Match.com. For everyone who has searched for your other half over the Internet, hard work, lot’s of letters and my handsome looks. That was all I needed to get back into the dating scene. Who knows what might happen after that? The First Meeting… A Must Read! Just weeks after signing up on all those websites, I received an email from a nice lady in New York. Can you imagine? Me from California and this nice lady from the other side of the country? Her letter was short. Something like “Hello, my name is Natasha, I am from New York, would you like to communicate?” At first glance, the thought of long distance communication, travel, expense and and and, was enough for me to forget about the letter. However, being the adventurous kind of guy that I am, I decided to write her back and say hello. What the heck? What did I have to lose? A day or so later, I received a reply from my new friend in New York. The letter was short and surprising all at the same time. The letter said something like this… “Thank you for writing me. I want to tell you that my best friend helped me write my profile and she made a small mistake. I am not from New York, I am from Russia!” Oh boy? Sounded a little crazy to me. I wrote her back asking for a phone number to help me verify where she was from. A reply was never received. Strange that someone from Russia would send me a letter. Not giving it a second thought. I forgot about the letter and continued writing the other ladies. All from California. I dated two ladies once and one lady three times. No chemistry and few prospects. It was still early 2006 and lady luck was not on my side. I wasn’t in a hurry. I just knew I was tired of being alone. It was nearly March 2006 when a revelation struck me. Working away at my desk, out of the blue, a thought crossed my mind. What about Russia? At first, I thought the idea of even thinking about a woman on the other side of the planet was just plain crazy. What about travel? Language? Age? Culture? Those and about a million other rational thoughts went through my mind. Without much thought beyond reality, my fingers typed the words “Russian woman” on the keyboard. Sending me to a plethora of Russian dating sites. I thought “Oh my god! What is this?” I had no idea there were so many sites with Russian women. Overwhelming didn’t come close to what was going through my mind. No, it wasn’t the pretty photos that got me excited. It was the sheer numbers of websites and the thousands of profiles. Nikolaev Ukraine was the last place on earth I would have thought about living. Over the next few days and after a lot of research, I signed up on a Russian dating site. The months that followed led me to my trip to Russia. That’s what led me to the first hello. All I can tell you today is that we found each other worlds away. We live a great life in Nikolaev Ukraine. The last eleven years has been a real life adventure. Thanks for visiting our website. We hope you find it informative and entertaining. We are always happy to share our life with new friends here in Nikolaev Ukraine. Good luck with your search. Don’t forget “Life is an adventure, Live it to the fullest everyday! Schedule your conference with Bill now!